I’ve heard of child protection, human rights protection, even princess protection (one of my daughter’s favorite movies). Recently I discovered the phrase connectivity protection. I admit, that’s not a phrase you hear everyday. At least not yet. As applied to wildlife conservation, connectivity protection refers to a massive, coordinated effort to “connect the dots” or linkages between protected areas of land. The result is the creation of the first animal protection corridor of its kind in the U.S. This “corridor” consists of 5,000 miles worth of conservation lands from northern Alaska’s Brooks Range down through the Canadian and American Rockies into northern Mexico. One happy recipient of this movement is the Pronghorn (a close relation to antelope), who has been traveling the same migration path for the past 6000 years. 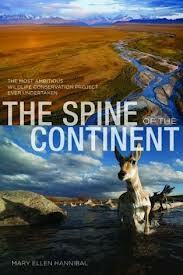 Now a movement called the Western Wildway Network, this initiative is the brainchild of Michael Soule, and is described in the book The “Spine of the Continent” by Mary Ellen Hannibal. What delights and inspires me is how this act of “connectivity protection” is being achieved. 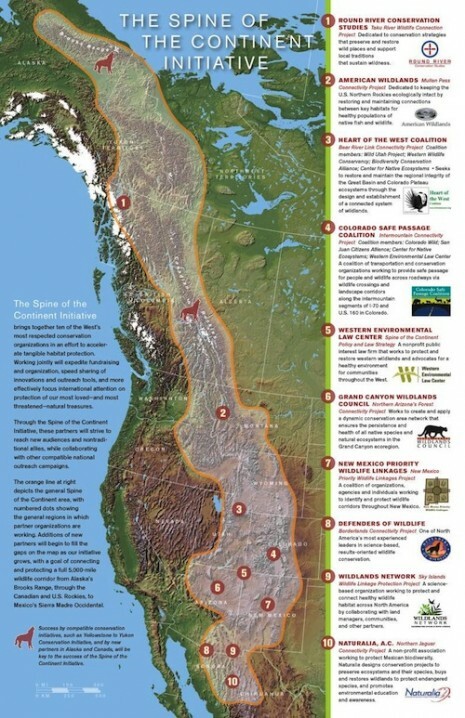 Scientists, wildlife agency officials, grassroot organizers and citizens – who could easily act as adversaries – are working together to protect migration routes of a host of species, including Grizzly bears, jaguars, caribou, elk, beaver, fox, mink, coyote, the Pronghorn and more. What can we learn from this robust example of connectivity protection? What other complex issues would benefit from the know-how and spirit of this initiative? My initial thoughts turn to local and national initiatives to address carbon pollution, food system security and rising rates of childhood obesity.